One of the hardest casts to find, at least from my experience, but I finally found one last year just before Xmas. And here it is, the 57 Chevy Treasure Hunt. :D I was also lookin for the Super of this but I still haven’t found one. Brimming with tampos... it looks like an ‘art car’ or something, but somehow on this car... it works. 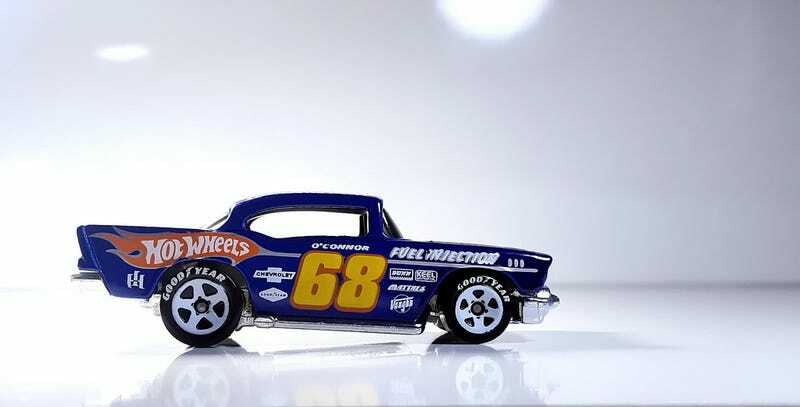 Unfortunately, it has that big rear wheel syndrome but checking the mainline... it seems that all the 57's have that too.